GPS technology represents a true revolution in racing data acquisition. GPS08 is more precise than most of the existing GPS systems, as it has been designed to add to the GPS satellite's signal the Global Navigation Satellite (Glonass) system's signal. With an average of almost twenty satellites working in conjunction, GPS08 guarantees a precision and a reliability simply not comparable to the old generation GPS systems. An average of less than one meter tolerance, which means absolute precision in determining vehicle position in curves and when the finish line is very close to another track segment. Satellite signal is locked very rapidly. 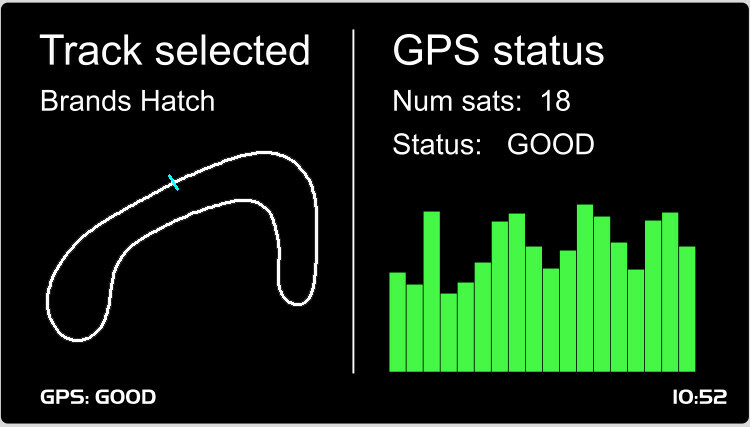 A few seconds after switch-on, the GPS08 is ready to operate. No risk of missing the signal anymore, as - in case of 'noise' or interferences on one system - the other system will guarantee the signal continuity. 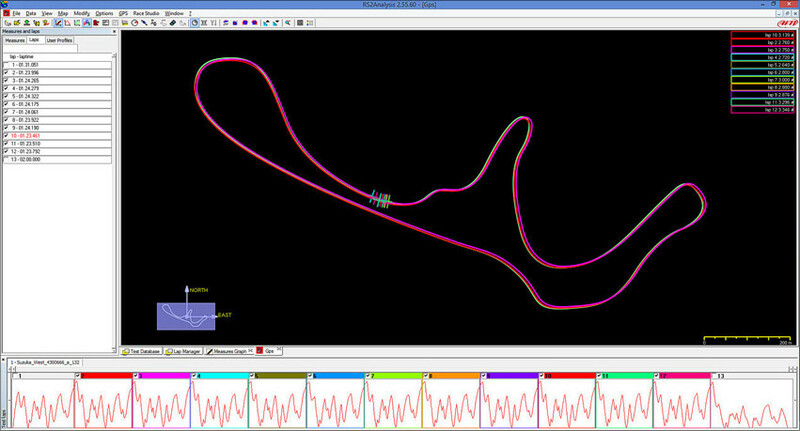 With your track included in the AiM database, GPS08 does it all by itself as soon as GPS08 switches-on, it identifies its position and - if your track is included in the list of tracks stored on Race Studio 3 database - will start sampling lap times. 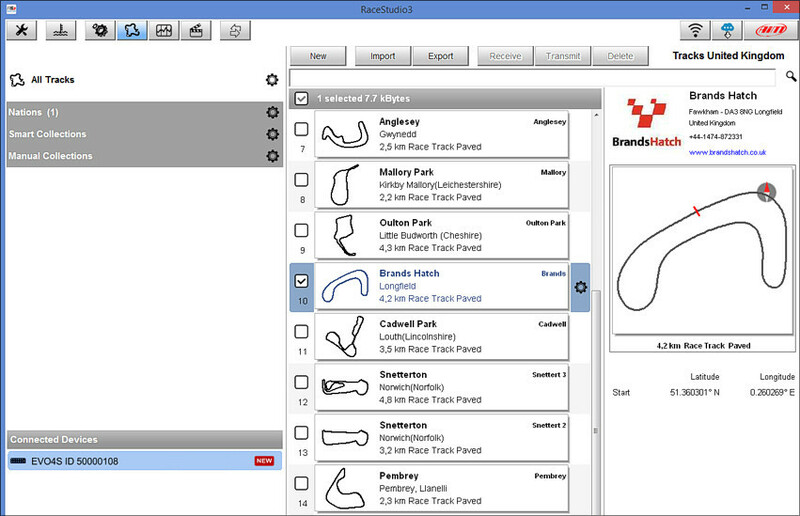 In fact, the software stores the finish line coordinates (plus map, contact info and logo) of more than two thousands tracks, sorted by Nation, circuit and surface type: you will be able to create your own collections, adding/removing tracks as you wish. Should your home track be missing, you can easily add it to your own tracklist when downloading your session files to Race Studio 3. GPS08 samples ten times per second position, speed and lateral/in-line acceleration at any point of the track: all the data needed for a precise evaluation of vehicle and driver behavior, which is the necessary step to improve performance.